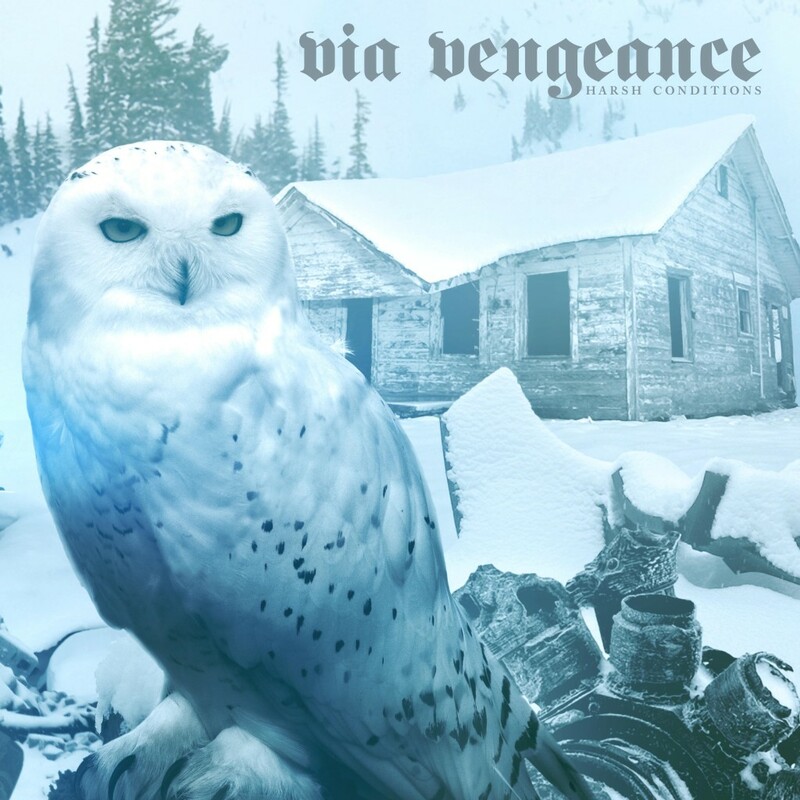 Battleground Records has joined up with Arizona-based solo outfit, VIA VENGEANCE, for the release of the project’s recently completed second full-length, Harsh Conditions. VIA VENGEANCE is the creation of solitary member Shane Ocell, the drummer of Phoenix-based dynamic sludge troupe, Sorxe. With his solo project, Ocell handles all instrumentation and vocals, even performing the tracks himself at live performances without the use of any looping or manipulation devices. 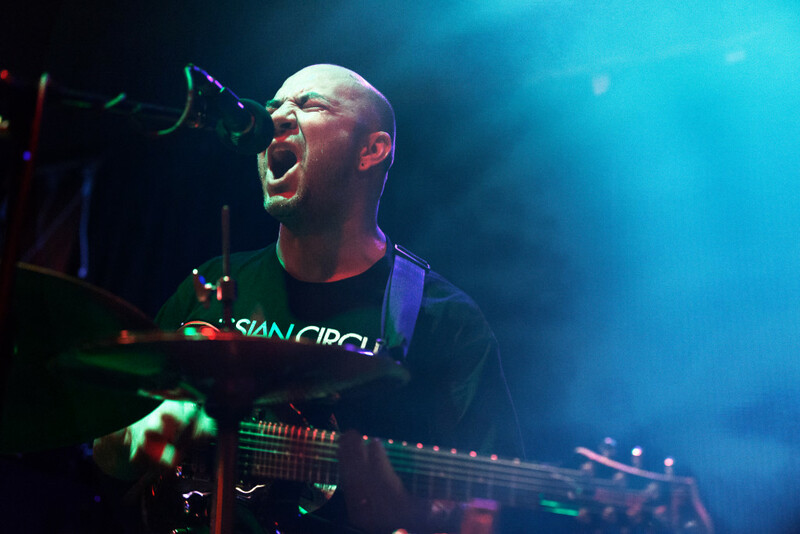 After forming the project in 2006, a self-titled album was recorded in 2007 with Matt Bayles (Botch, Mastodon, Isis) and self-released later that year. Sporadic touring and live performances followed for the next few years, including a tour with A Storm Of Light in 2010, the same year Ocell recorded his follow-up album, Harsh Conditions. The record has been on the back burner since its creation, mainly due to focus on Sorxe, but the album finally comes forth through a new deal with Battleground Records. Recorded in Phoenix by Jared Cox, Harsh Conditions delivers forty-two minutes of the straightforward and pentatonic VIA VENGEANCE style mid-paced doom metal with a wholly ethereal feel to each movement. The eleven tracks formulate a thematic concept about Winter survival, adding an even more organic element to the overall album. As always, Ocell performs all guitars, drums, vocals, and other instrumentation on the album, outside of several special guest appearances on the album, including warm elements of piano and clean vocal harmonies from the artist’s grandmother, BJ Scott, as well as vocals on another track by longtime friend Josh Graham of A Storm Of Light, whom also created the immersive winter elements cover artwork for the album. Battleground Records will release Harsh Conditions on CD and digital formats on March 11th, 2016. The album’s artwork and track listing have been released; preorders and audio samples will be made available in the coming days. VIA VENGEANCE will be heading out on a US tour in March with Gomi, kicking off the very day Harsh Conditions is released. The final dates are being sorted now, the entire routing to be announced in several days.